Jean-Baptiste Etienne Auguste Charcot was born the son of a famous French neurologist Jean-Martin Charcot in the town of Neuilly-sur-Seine, France in a house that the family was renting only for the summer at the time, though they did buy and move into it as the family home later. The enigmatically named ship, the Pourquoi Pas? (Why Not?) came from an event in Charcot's childhood when he was said to have written the words on the side of a soapbox and then launched himself in it onto a miniature pool at Neuilly-sur-Seine. The box sank and he got wet, but it was the first of many voyages. He trained as a doctor as was expected of him, though found the society to which he belonged rather superficial and was drawn more to the wild and open spaces of the world. At the age of twenty five, he bought his first boat and sailed to the Shetland Islands, Hebrides, Faroe Islands and Iceland. 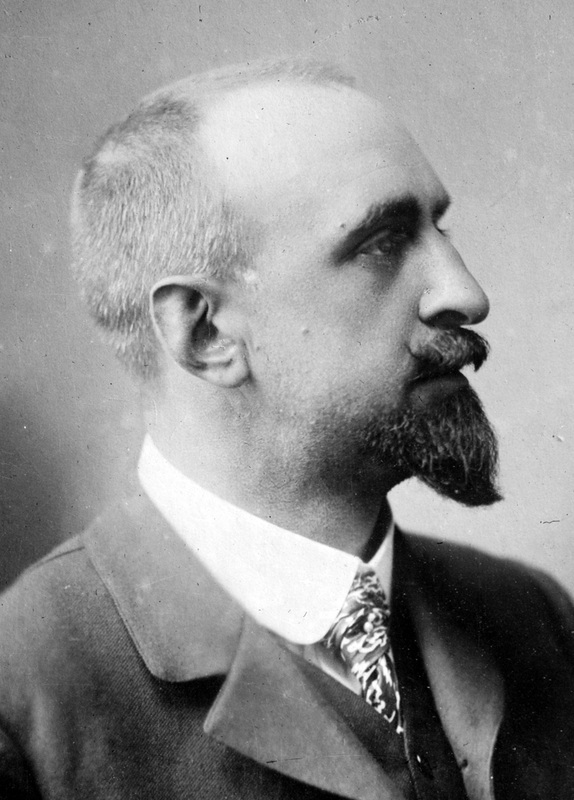 His father died in 1893 when Charcot was 26 years old, leaving him a fortune of 400,000 francs (around £17,000, the equivalent of £2,145,000 in 2018) which was enough to allow him to leave medicine and instead to pursue the life he preferred in scientific investigation and sea-borne adventures. 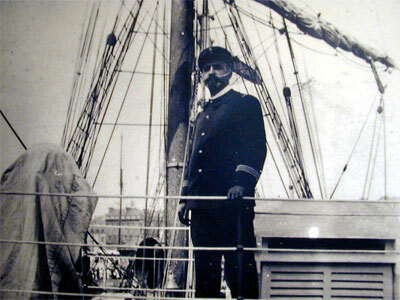 He was eminently successful in this, visiting the Arctic several times and earning himself an enviable reputation as a scientist and gentleman - Captain Scott famously referred to him as the "Polar Gentleman". In response to the upsurge of interest and exploration of polar regions in the 1890's, Charcot decided to represent France in such endeavours. His fortune was to be invested in a voyage to the Arctic in his own ship to be built for the purpose - the Francais. In 1903 news arrived in Europe that the Swedish explorer Otto Nordenskjold and his ship the "Antarctic" were missing. Charcot decided to head south to Antarctica instead and search for the missing explorer. Thus was the French Antarctic Expedition born. Charcot gained the support of the French President, amile Loubet and also several institutions: Acadamie des Sciences, the Societe de Geographie and the Museum of Natural History. The French newspaper Le Matin published the news of the expedition. 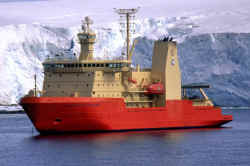 Between these sources the expedition was financed. The voyage was widely held as a great success, both scientifically and in the public perception, France had a new hero in the form of Commandant Charcot. More than 600 miles of new coastlines and islands had been, 18 volumes of scientific reports would be published at government expense. The expedition took its toll on his private life however and his wife, the granddaughter of the famous poet and novelist Victor Hugo whom he had married in 1896 had decided to divorce him on grounds of desertion while he was away. The marriage had been in trouble for some time as his wife didn't share the same passion for scientific exploration. His sister Jeanne had also become divorced during this time and they lived together for a while Charcot vowing never to marry again, though by the time of his next trip to Antarctica on the Pourquoi-Pas?, he had married again to Marguerite (Meg) who realised and accepted that exploration was a part of the man she had married. Meg also sailed on the ship and remained with her husband as far as she could, to Punta Arenas at the southernmost tip of Patagonia, before returning to France. Such was the loyalty that Charcot engendered that eight of the crew of the Francais accompanied him on the Pourquoi-Pas? Charcot wished to build upon the successes of the first expedition and to extend it's findings and also those of the Belgica which had sailed in the same waters. The voyage had its dramas though. Charcot, Gourdon and Lieutenant Godfrey set out to reconnoitre Cape Tuxen and the nearby islands in a small motorboat in good weather but without any extra provisions or clothing. They thought they would be back aboard their ship within three hours but it became three days until conditions were good enough for the ship to be able to approach and effect a rescue. Within 24 hours of this the Pourquoi Pas? hit a submerged rock in a similar way to the Francais had a few years beforehand. Charcot decided to continue as before unaware how badly damaged the ship was. Later in the winter Charcot became ill during the winter and he diagnosed himself with a serious heart condition, his legs became badly swollen and he struggled to breathe without pain. During the spring, the Pourquoi Pas? sailed to the whaling station on Deception Island, she was now leaking more and more and the Norwegians offered the services of a diver who inspected the damaged hull. A large section of the keel had been torn away along with other damage, Charcot was advised to sail for home straight away as even ice-free navigation had its risks and even a modest encounter with ice might sink the ship. 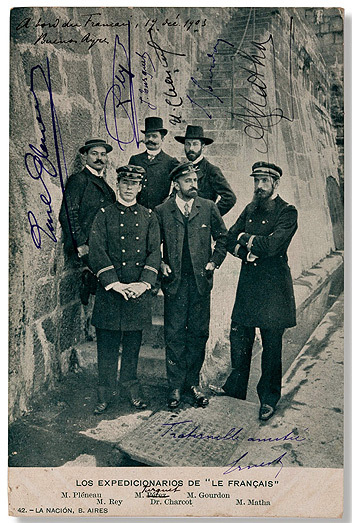 In a move of uncharacteristic recklessness, he chose to sail south once again to uphold his nation's honour and personal reputation, he did not share the information about the ship fully with his officers and crew. On the 23rd of December 1909 he sailed south once again for the summer season. She eventually underwent extensive repairs in Montevideo (Uruguay), was scrubbed and painted in the Azores and was back in France on the 4th of June, reaching Rouen on the 5th. The results of the second French Antarctic Expedition had been impressive, 1250 miles of coastline and newly discovered territory had been surveyed. The maps made from the expedition were still in use twenty-five years later. The scientific data filled 28 volumes, including some of the 3000 photographs taken during the expedition. (Charcot's expeditions) "Occupy a place in the front rank of the most important Antarctic expeditions. No one has surpassed him and few have equalled him as a leader and as a scientific observer"
"The gentleman of the Pole". Description: A bay about 10 mi wide between Cape Kater and Cape Kjellman along the W coast of Graham Land. Discovered by the SwedAE, 1901-04, under Nordenskjold. He named it for Dr. Jean B. Charcot, at that time a noted Arctic explorer preparing for his first Antarctic expedition, on which he planned to look for Nordenskjold whose return was overdue. Description: A re-entrant in the coast of Victoria Land between Bruce Point and Cape Hickey. Discovered by the BrNAE (1901-04) which named this feature for Dr. Jean B. Charcot, noted Arctic and Antarctic explorer. Description: Name of undersea fan approved 6/88 (ACUF 228). Description: Island, 30 mi long and 25 mi wide, which is ice covered except for prominent mountains overlooking the N coast, 55 mi W of Alexander Island. Discovered on Jan. 11, 1910, by the FrAE under Dr. Jean B. Charcot, who, at the insistence of his crew and the recommendation of Edwin S. Balch and others, named it Charcot Land. He did so with the stated intention of honouring his father, Dr. Jean Martin Charcot, a famous French physician. The insularity of Charcot Land was proved by Sir Hubert Wilkins, who flew around it on Dec. 29, 1929. Description: Rocky point at the NE end of Melba Peninsula, 3 mi W of David Island. Discovered by the AAE under Mawson, 1911-14, who named it for Dr. Jean B. Charcot, French Antarctic explorer. 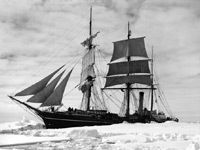 A brief synopsis of all major expeditions to Antarctica from Captain Cook to Shackleton. Towards the South Pole Aboard the " Francais"